3 Ways Pro Athletes Benefit From Chiropractic... & So Can You! Chiropractic care is a respected, effective treatment for a variety of conditions as well as for promoting overall wellness. Every day patients seek it out to manage their pain, find relief from health issues, and recover from injuries. But did you know that pro athletes also utilize chiropractic for sports injuries, soreness, and to keep them playing at optimal levels? What many may not realize is that an estimated 90 percent of top athletes use chiropractic to step up their game. You don’t have to be an athlete to step up your own game with chiropractic care. Here are three benefits that the pros enjoy – and so can you! Chiropractic is an effective treatment for pain management. Chiropractic has long been regarded as a natural, non-invasive, drug-free approach to pain management. Numerous studies have proven its effectiveness in treating pain for some conditions and injuries. Many pro athletes utilize this option to manage their pain from overtaxed muscles and ligaments to activity related injuries. When the spine not correctly aligned it can put pressure or stress on other areas of the body. Spinal adjustments can help relieve pain in ligaments, joints, discs, and muscles. However, chiropractic techniques can be used for all parts of the body, including arms, hands, fingers, feet, hips, and knees. Chiropractic helps in preventing injury and enhancing performance. Doctors of Chiropractic understand that when it comes to treatment, there is not a one size fits all option. Every patient is different, and they will tailor a custom plan that benefits the entire body based on lifestyle, activity level, age, health conditions, and other factors. The first appointment will include a variety of evaluations that help the doctor determine the best course of treatment for you, including the activities you engage in and the frequency. This way he or she can get an idea of your risk of injury and the areas to concentrate on in your treatment. 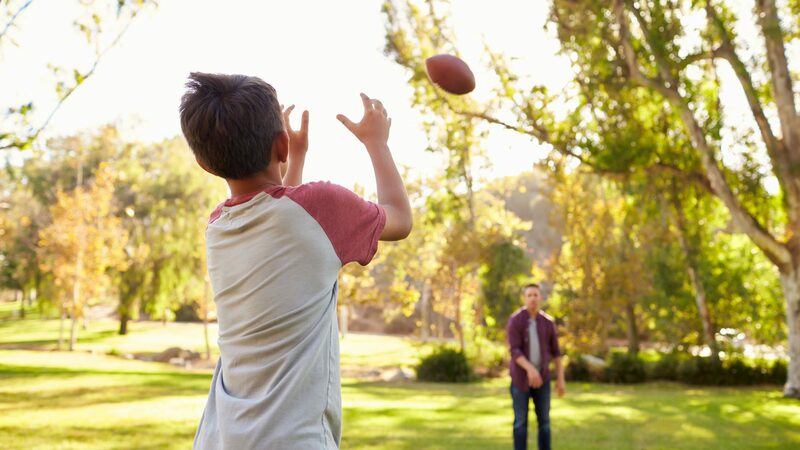 So, whether you are a pro football player or a weekend warrior, chiropractic can improve your performance and help protect you from injury. Chiropractic helps in treating many types of injuries. For pro athletes, injuries are just part of the game. High impact sports like hockey, football, and wrestling tend to result in injuries, but even non-contact sports like baseball, cycling, and golf can lead to injuries as well. Low impact, as well as low impact athletes, find great value in routine adjustments and spinal alignments. This alone helps to lower their risk of injury as well as improve flexibility and enhance performance. It can help reduce the stress and strain that all types of physical activity place on the body, whether you are a pro golfer or football player, or if you enjoy working in your garden or are a stay at home mom running after kids all day. 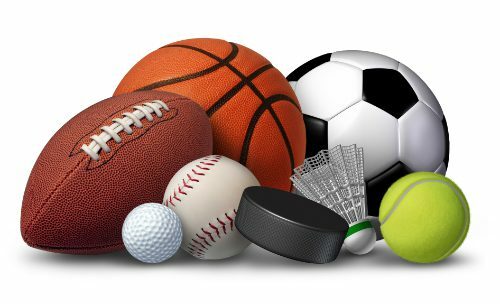 Sports equipment with a football, basketball, baseball, soccer, tennis and golf ball and badminton hockey puck as recreation and leisure fun activities for team and individual playing. Some of the top names in pro sports rely on chiropractic to treat injuries, manage pain, and enhance athletic performance. You might recognize some of the names: Barry Bonds, Arnold Schwarzenegger, Lance Armstrong, Evander Holyfield, Tiger Woods, Joe Montana, and Martina Navratilova are just a few. You don’t have to be an athlete, though, to reap the same benefits that the pros do. You can get them by scheduling an appointment with a chiropractor. Chiropractic care is a safe, useful healthcare option that is appropriate for all ages and activity levels. Your Doctor of Chiropractic will sit down with you and work with you to create a treatment plan that is tailored to meet your unique needs. Because this type of treatment focuses on the root of the problem instead of just managing symptoms, your treatment plan will usually involve not only adjustments and chiropractic techniques, but dietary recommendations, exercises, and lifestyle modifications as well so that you enjoy whole body wellness. Does Chiropractic Rehabilitation Work For Pets? El Paso, TX. Thankfulness Benefits Your Health | El Paso, TX.